Stretchable, Conformal Batteries for Wearable Applications with faculty advisers of Shirley Meng and Joseph Wang of the NanoEngeneering Department. This project’s goal is the development of printable, stretchable, nanoparticle-based materials for batteries. Cardiac Risk Assessment Imaging with Carlos del Almo, Professor from the Department of Mechanical Aerospace Engineering, and Andrew M. Khan M.D. from the Department of Medicine as faculty advisers. The VeoCor team aims to prevent thousands of strokes a year by deploying its personalized tool that assesses the risk of blood clots in patients with heart failure and heart attacks. Electromagnetically Shielded Devices for MRI Guidance of Minimally Invasive Procedures overseen by Professor Prabhaker Banaru of the Mechanical and Aerospace Engineering Department. This teams innovation is a specialized nanoparticle-based coating that would make it possible to us standard medical instruments in MRI assisted medical procedures. Esophageal Deflection Device for Cardiac Surgery with Frank Talk, PhD as faculty adviser, this team is developing a medical instrument to safely and reliably prevent thermal damage to the esophagus during cardiac ablation procedures. Compact, Solid State Lasers for LIDAR Applications in Autonomous Vehicles working under Assistant professor Boubacar Kodigala with Department of Electrical and Computer Engineering. This team, is developing a turnable, chip-level, solid state BIC (bound in states continuum) laser for use in the LIDAR of autonomous vehicles. The IGE Technology Accelerator program received funding support from the Office of the Chancellor and from California Assembly Bill 2664. This assembly bill provided $2.2 million to every UC campus can expand its innovation and entrepreneurship activities. 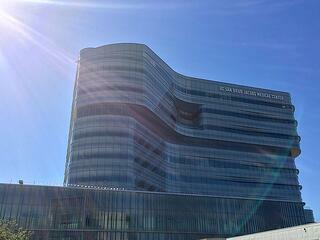 The program is also funded by a gift from The Legler Benbough Foundation. 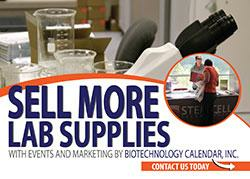 Twice a year, Biotechnology Calendar Inc. hosts a vendor showcase where laboratory equipment suppliers can connect with UCSD researchers and lab managers on campus. 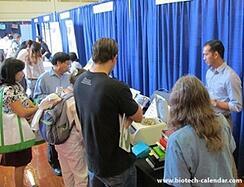 The 45th Semiannual Biotechnology Vendor Showcase event at UC San Diego will be on Thursday, August 24, 2017. The vendor showcase gives laboratory suppliers the opportunity to meet with some of the 1,400 physicians and researchers who make up the UCSD faculty. At this event, suppliers can demonstrate their products and build relationships with the researchers, like those at UCSD's Department of Medicine and Jacob's School of Engineering, who will put their equipment general lab supplies to use. Science professionals are invited to attend for free.